Ummm. 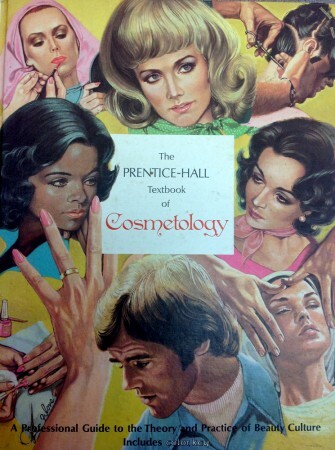 A cosmetology text book. From 1976. We did not add it to the collection. Almost looks like a young Oprah there on the left. That doesn’t fall under ‘rare artifact’? Libraries are not the place for kitsch, eh? Do you have something more current? I could use a tip or two. WHAT is happening in that picture on the lower right? This blew me away. It’s amazing how stilted and out of date this book cover looks. It looks like a soap opera on the cover. LOL!!! That may have been from the 70’s but those hair styles are straight out of the 60’s! That belongs in the 900s! I was in junior high and I know we were cooler than that cover indicates. I just know it! Hmmmm. Could it be sold on E-bay and the proceeds go to the library? I guarantee someone on E-bay will pay good money for it.